Museum-lovers will get to explore Skansen and Abba The Museum. 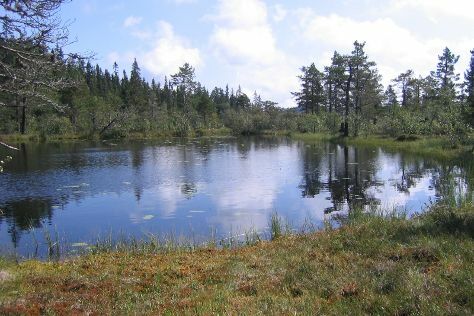 Get outdoors at Sodermalm and Langholmen. And it doesn't end there: take a stroll through Stockholm Old Town, head off the coast to Djurgarden, examine the collection at Fotografiska, and take an in-depth tour of The Hallwyl Museum. To find where to stay, other places to visit, traveler tips, and other tourist information, go to the Stockholm trip generator. Madrid, Spain to Stockholm is an approximately 7-hour flight. You can also drive; or do a combination of train and night train. Traveling from Madrid in December, expect Stockholm to be a bit cooler, temps between 1°C and -3°C. Finish your sightseeing early on the 24th (Sat) so you can travel to Oslo. Escape the urban bustle at Oslomarka and Oslo Fjord. Satisfy your inner culture vulture at Vigeland Museum and Kon-Tiki Museum. There's lots more to do: get engrossed in the history at Viking Ship Museum, take a tour of Fram Polar Ship Museum, admire the masterpieces at The National Museum of Art, Architecture and Design, and examine the collection at The Norwegian Museum of Cultural History. For ratings, where to stay, traveler tips, and more tourist information, read Oslo itinerary maker. Traveling by combination of train and flight from Stockholm to Oslo takes 3 hours. Alternatively, you can take a train; or drive. Plan for slightly colder nights when traveling from Stockholm in December since evenings lows in Oslo dip to -6°C. Cap off your sightseeing on the 29th (Thu) early enough to travel to Copenhagen. 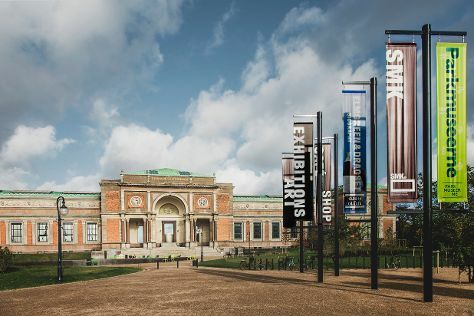 For shopping fun, head to National Gallery of Denmark or Illum. Rosenborg Castle and Church of Our Saviour will appeal to history buffs. Next up on the itinerary: take a leisurely stroll along Nyhavn, get in on the family fun at Tivoli Gardens, examine the collection at Ny Carlsberg Glyptotek, and take a stroll through Stroeget. For ratings, more things to do, maps, and more tourist information, go to the Copenhagen tour planner. Getting from Oslo to Copenhagen by combination of flight and train takes about 4 hours. Other options: drive; or take a bus. Expect a bit warmer temperatures when traveling from Oslo in December; daily highs in Copenhagen reach 6°C and lows reach 1°C. Wrap up your sightseeing on the 2nd (Mon) early enough to fly back home.